Posted on February 20, 2014 by Carl McKever Posted in Books	. Being a book reviewer for the last two weeks and having many of my books reviewed by others, I tend to see a lot of commonality in reviews. Mistakes, gestures, and things that are just inappropriate for a book review. It is one thing to tell someone that their book is great and others should read it. It’s practically a cliché at this point. Reviewers have to make prospective readers thirsty and energized in interest to the point where they want to purchase the book. Book reviews have the same flavor and sensitivity as a sales pitch. How do I write a book review? Where do I start? How long should it be? Common questions with various answers! I only speak, in this blog post, from personal experiences as a book reviewer. When you begin writing a book review, start off thanking the author for their publication. You can include if you won the book through a giveaway, but know that this is a necessary evil. After being complimentary, start addressing the overall design of the book. What feeling did you get when you looked at the front cover? Does the title give off the main idea? Are the designs on the front and back covers an act of symbolism? Does the small wording on the back cover heighten your interest to open the book? These are the things prospective readers want to know. The next portion of your book review should address the grammar and punctuation. Yes, something not often placed in reviews. It’s imperative that you get someone else to check your grammar and punctuation. Go through an editor or agent, if you have to. You’ve read the book. So, did you have to stop and almost stutter because the fragments were not revised properly in the sentences? Did the author wean off topic for a long time without reeling you back into his/her main purpose? Prospective readers and book reviewers look for the author’s purpose, focus, and moral in every story. At this point, you can begin considering the format and layout of the book. Was the table of contents outlined correctly? Were page numbers included? Was the book entirely too long with unnecessary information in chapters? Was the font and alignment of each page hard to conceptualize? Think about this when writing your book review. These pieces to a book review are great, but the most crucial and last component of the book review should be recommendations. Make the sales pitch! State the type of audience who should be reading the book and address any internal/external feelings they may run into. Is the book full of adventure and suspense? Is it religious? Are profane words and derogatory remarks made in the book? Why is this so important? The prospective reader wants to know if they’re the right audience! For instance, I’m a poet and when I read reviews for poetry books, I want to know if the books are centered on the same themes I write about and read about. If I was a counselor and the book is full of adventure, but doesn’t hold a dramatic event requiring counseling for someone, this may not be the book for me. Make your recommendations and state why such audiences are the right candidates. In closing, have fun with your book reviews! Don’t make it into an assignment or required duty. Don’t treat it as some book report or an exhausting activity one does when they finish a book. Write your review while you’re in a happy mode and when you think and concentrate about the interesting pieces of the book. Even if the book is terrible, don’t come right out and say, “this is the worse book to buy.” Mention the author’s weaknesses and give suggestions on how they could become strengths. Don’t tear down your author publicly, but address horrible matters through private communications. Good luck and I look forward to seeing some of your book reviews out there! Tags: authors, book, books, college, easy, guide, high school, how, how-to, howto, lesson, literature, online, review, reviews, school, simple, technology, to, tutorial, university, wirte, writing	. Posted on February 17, 2014 by James Agee Posted in Lifestyle	. In the digital technology age that we live in, it’s sometimes nice to take a break from the stress of day to day life and make something special with our hands. Makers Kit is a company that really seems to understand the connection between people and making things themselves. I mean think about it, the gifts that you have gotten over the years have all been great, but the ones that really stick out in you mind are the ones that someone took the time to make for you. Simply put, making something with your hands is an art and craft that still has a place in todays’ society! You not only get a neat kit filled with everything you need to make whatever it is you’re making, but you get two very helpful guides that show you exactly what to do, step-by-step, in video lessons. You might just be surprised how easy these kits make it to create a one of a kind item. Take the Dino Terrarium for example, it’s very straight forward and the finished product is special because you took the time to make it. The world is full of makers, people who love to create, and Makers Kit is giving everyone the opportunity to take time and make something worth having! You don’t need a lot of space to enjoy one of these kits, in fact you can easily use them in your dorm room, apartment, or anywhere that you have a few feet to move around in. I’m not joking when I say that absolutely anyone can enjoy this product. It doesn’t matter which kit you choose, they offer such a variety that you’re sure to find something that fits your interest. Make your own soap, blend your own tea, or build a terrarium, either way you will find enjoyment in slowing down and making something. For more information or to order a Makers Kit, visit www.MakersKit.com. Tags: easy, guide, handcrafted, handmade, how, howto, kit, kits, lesson, maker, makers, Makers Kit, product, review, simple, to, tutorial	. Posted on October 31, 2013 by Toast Pop Posted in Lifestyle	. Mothers, as well as fathers, must be smart enough to find out that many of our household items can be used as cleaning agents. Save your precious cents and stay away from hundreds of harmful unknown chemicals that are being sold expensively in the market. Try a few of these surprising cleaning tricks that may work just as well, if not even better. Use a little imagination and be creative. Cornstarch is the cheapest cure for prickly heat especially on babies but you will be surprised to know that you can use it as a safe cleaner for rugs and carpets, and it deodorizes too! Sprinkle sparingly and leave for about 30 minutes them vacuum. Clean and smoothen your stove and counter tops with cornstarch paste made by mixing an equal part with water. Cornstarch will save your dirty stuffed toys, too. Put both the stuffed toy and the cornstarch in a plastic bag and shake then leave for several minutes. Take it out and shake the cornstarch and the dirt off. 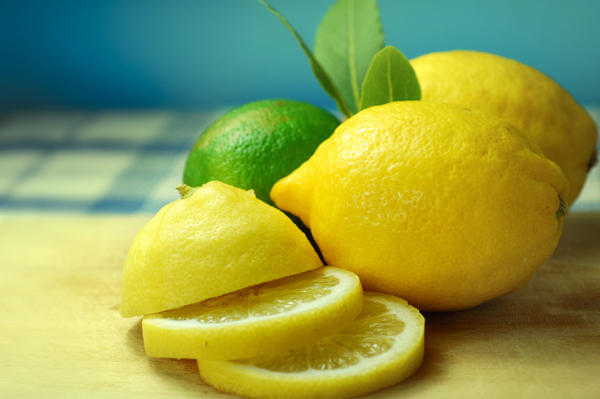 The versatile lemon that is a good source of vitamin C can go as far as an ingredient for juices, marinades, and dips to whitener of armpits and knuckles to cutter of grease and stains on aluminum, porcelains, bathroom and kitchen. You can mix it equally with water and spray on problem areas. Toothpaste is used per se but it can be a refreshing feminine wash as well as it can be used to clean your copper and silverware. Just apply to the area and wipe or scrub with a clean cloth. It is a handy and ready burnt ointment too. 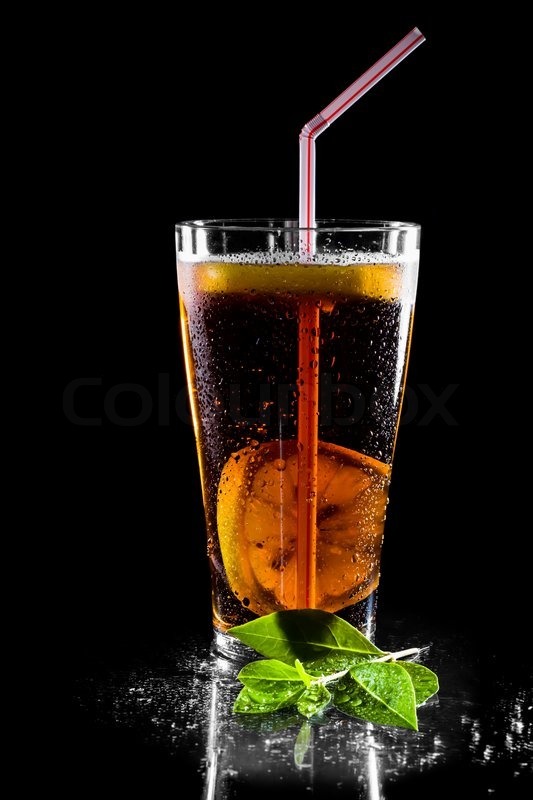 Any type of cola drinks can leave your toilet bowl sparkling clean. Just pour a bottle of it in the bowl, allow to sit for awhile and then scrub lightly to have an amazingly clean toilet bowl. White vinegar when mixed with raw sugar become an effective insect attractant. Mix it with salt into paste and it cleans tarnished copper, bronze and pewter; removes molds, mildews, wax and stains. Combine this with baking soda to make a drain de-clogger. The same vinegar when boiled inside the microwave will automatically loosen sticking foods and eliminate foul odor. Vinegar also works for stainless steel. Just soak your stainless steel pot or pans in warm water and rub with a cloth damp with vinegar. Rinse well afterwards. Baby powder will absorb that stubborn cooking oil that went to your party dress. Sprinkle considerably over the stained area, cover with a piece of cotton cloth or handkerchief and run a heated iron over it. Best also for removing grease on upholstered sofas. Mayonnaise will remove gums that got stuck on your kids clothes like magic. Apply on the area covering it then leave for few minutes and scrape lightly with a dull knife. Mayonnaise will get rid of watermarks on furniture, head lice. tree sap and tar on fingers. So there you have it, DIY cleaning tips using items that are probably in your cupboards already. About The Author: Audrey Dunbar is a mom and a blogger. She likes to share household tips. She is also part of HomeJoy team, a house cleaning expert. Tags: 7, apartment, clean, cleaning, dad, DIY, easy, father, guide, home, house, how-to, lesson, Mom, Mother, simple, tip, tips, tutorial	. Posted on June 26, 2013 by Toast Pop Posted in Tech	. You open the Notes app on your telephone, and show that you inserted all random words in it like house, cat, etc. Your friend can scroll through the words while you look away, and think of any (yes, ANY) word they see. They close the screen of your phone and without touching your phone, you can instantly READ THEIR MINDS and know what word they are thinking off. So, how does it play in real life? Quite amazing actually! This is the perfect trick for when you’re in class, bored, or in a nice conversation, and want to show something funny. The app takes care of the forcing part, this means that although you friend thinks he/she can choose any word, in fact it’s always the word that you want. You can then-Hogwarts style-read their minds and impress them badly. The app is really fun and uses a ingenious principle, is easy to use, and has tons of applications. For instance, imagine forcing the name of a song to your friends, or even a phone number! And for the price of 1 drink it’s a steal. Go on and fool your friends today! Tags: app, apple, easy, Forced, Forced App, how-to, iphone, ipod, ipod touch, itunes, magic, magical, review, reviews, simple, trick, tricks, tutorial, word	. Posted on January 5, 2012 by kejohns323 Posted in Art	. Are you looking for unique tattoo designs? Surfacecollective.com offers endless and unique tattoo designs…for your walls! These wall decals are most unique in artistic design and each piece was crafted by illustrators, artists, and creative directors. Surface Collective products easy to apply and remove and are available for your home or even your laptop. In searching for the wall art or laptop decal you want the most, products can be filtered by various criteria: price range, gender and age, complexity or color arrangement of the piece, placement, theme, and designer. You can select more than one to view the options that best match your style. The cheapest wall products run about $30 to $45 before S&H. The laptop tattoos are no more than $40. Seattle is the only store retailer for Surface Collective in the United States, so online shopping is the best option. Surface Collective is the ideal way to express yourself without the pain of ink and needle. Their products can compliment any style and go anywhere you want them. Whether you’re artistically inclined or challenged, Surface Collective wall tattoos add and accentuate chic flair in any room. Tags: anywhere, Art, artistic, collective, company, decal, decals, decor, decoration, design, designer, designs, desktop, easy, fashionable, fun, home, interior, laptop, modern, online, style, surface, Surface Collective, tattoo, tattoos, unique, wall, worldwide	. Posted on December 26, 2011 by kejohns323 Posted in Lifestyle	. Airline travel can be arduous and annoying. The best flight to your destination is one at an ungodly hour with connecting flights. You arrive at the airport only to discover it has been delayed or cancelled. Then you have to worry about the ridiculous baggage fees and all the security searches and standards. Alleviate one less stressful hassle with your luggage and travel with Tutto carry-ons. Tutto brand luggage is a product of Mascot Metropolitan Inc. This is a greatly accredited brand for the simplistic use of their product, its creative design, its convenient efficiency, and its remarkable capabilities. The Arthritis Foundation favorably assesses it for its four-wheel base that lessens weight and strain on the user’s back and arms, its U-shaped puller bar on either side of the frame that eases maneuvering and takes the bend and stretch of moving luggage. From Homearts magazine, Tutto received a seal of approval for qualities like design, appearance, uniqueness, innovation, and color. A writer from MercuryNews.com states that the lightweight characteristics and the exterior of his Tutto bag allowed him to carry more in a smaller bag. He praises Tutto as the “Rolls-Royce of lightweight luggage”. There’s a Tutto tote for every need, whether you’re a business person working on the go, or a hobby enthusiast with materials on hand. Provided online are carry-ons and Pullmans for overnight, weekend, or retreat trips. There’s also the “office-on-wheels” and various laptop and PDA cases for stow and go working activity. “Crafts-on-wheels” are ideal for carting scrapbooking affects, and the “machine-on-wheels” for sewing machines and kits. Tutto’s pet carriers are rated the best by the top university of veterinary medicine and Whole Dog Journal. All larger Tutto bags compress to about three inches for storage when not in use. There are 311 store locations in the United States that carry Tutto bags. With many products being available in an array of color choices, your bag will stand out in the sea of bland, homogenous suitcases known as the baggage claim. Any given bag is well into the hundred dollar range, some over two hundred before shipping and handling. The PDA cases run twenty-seven dollars. Product support is available on Tutto.com for demonstrations on how to use their products or for ordering and replacing parts. Tutto bags are a pricey investment, but they come with a year-warranty promising to replacing or fixing defective items. If Tutto is worth your wallet, then travel with less stress on your next trip! Tags: Arthritis Foundation, best, carry-on, cases, colorful, compact, crafts on wheels, design, easy, efficient, expensive, healthy, Homearts, interesting, laptop, lightweight, luggage, magazine, Mascot Metropolitan Inc, mercurynews.com, office on wheels, pet carriers, pets, Rolls-Royce, travel, Tutto, warranty	. Posted on November 23, 2011 by Toast Pop Posted in Uncategorized	. The MMORPG DC Universe Online starting today is for free on the website to play on PC and PS3. The Game has a paid version and a free version, which there is minor differences in the versions. In the game you can create your own super hero and be a mentored by one of the great super heroes of DC. You do a variety of missions in the game and you can do which ever ones you choose. Every villain and hero in the DC Universe is in this game. You have Joker, Lex Luthor, Brainiac, Scarecrow, Harley Quinn, Sinestro, and many more. The star heroes are all here including Batman, Superman, Wonder Woman, Green Lanturn, and many others. The game works through allowing you to choose what side your on good or evil. You can fight against the heroes to conquer the world or help the heroes save it. Brainiac seems to be the main villain since I have only been playing it for a few days. My hero is amazing and unique in his own way. You choose from what his powers are to the way he moves and every detail of his looks. Everyone will have a different adventure through there play of DC Universe Online. Fans of the WoW series will diffidently want to take a go at saving the world or taking it over. Sony Online Entertainment allowing this game to be free gives people who can’t afford to pay monthly have a chance at this vast world and have fun saving the world as their own fantasy hero or villain. The games best qualities have to be that you can join together with others and make a super hero team and work together and save the world. Every superhero/comic book fan has always dreamed of being their own superhero and working a team like the Justice League saving the world. This game is beyond amazing and should be played by anyone and everyone, gamer’s to just plain old comic book nerds. It’s free so don’t waste this opportunity and test out one of the best MMORPG of the year. Tags: Batman, book, books, Brainiac, comic, cross, DC, details, download, downloadable, easy, free, fun, Green Lanturn, hero, heroes, info, Joker, Lex Luthor, mac, mmo, mmorpg, new, online, PC, platform, preview, quick, review, rpg, Superman, team, Universe, Wonder Woman	.